Hello Everyone! Are you ready for another fun challenge at Creative Card Crew? This weeks challenge is Ribbons and Brads. 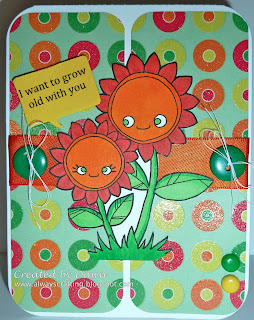 Please hop over to www.creativecardcrew.blogspot.com and enter your project today. Also check out the lovely projects from the Design Team. 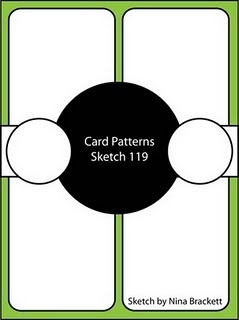 I made my card using the card pattern challenge sketch #119. What a fun card and great sentiment! adorable card! Thanks for joining us at Card Patterns! What a super fun card. I love the color combo. What a fun card and love what you did with the sketch! Thanks for joining the challenge over at Aud Sentiments. 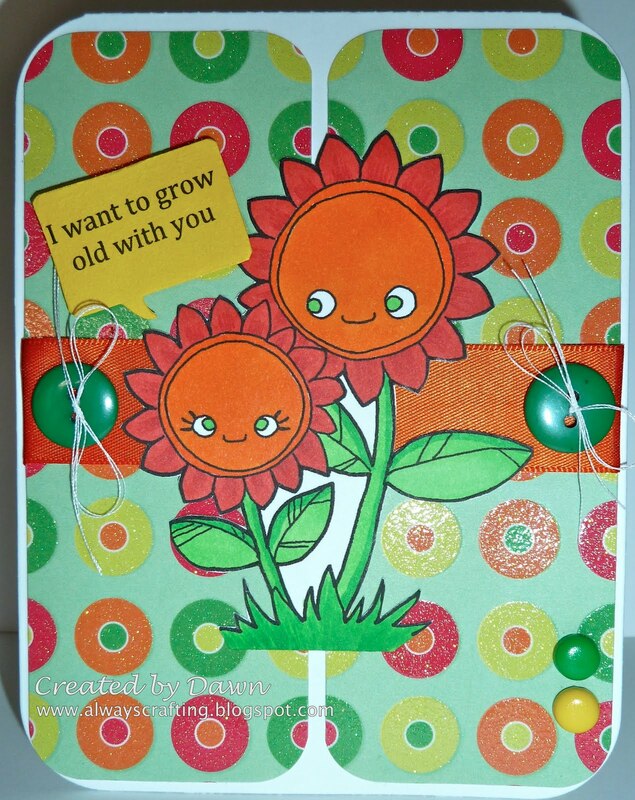 A great summer card and a really cute text to the image! Thanks for playing along at Allsorts this week and good luck! What a sweet card. Thank you so much for entering our challenge at ALLSORTS this week, good luck & hope you’ll join us again!